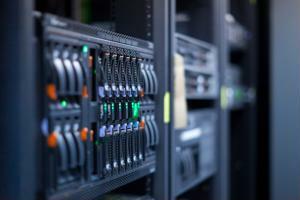 The upcoming year will bring different focuses to the data center industry. In order for data center companies and operators to remain a competitive force in the sector, they should pay attention to and take advantage of the benefits these trends can offer their organizations. An increasing number of businesses will rely more heavily on the cloud within the next few months. Enterprise administrators seek solutions including infrastructure as a service, platform as a service, and software as a service, all hosted in a cloud environment. This will create boosted demands on the data center sector to provide the hardware and systems needed to store data in the cloud and power applications accessible through the computing model. However, cloud service providers must ensure that their systems are protected from data leakage, as this will be a main obstacle to growth in this sector. The cloud is still a relatively new infrastructure model for businesses, and administrators have voiced concern about trusting third party service providers with their company-owned intellectual property. To respond to these needs, data center operators should be as transparent as possible and provide details about their protection protocols. Recently, Datacenter Dynamics contributor Julius Neudorfer noted that demands for improved efficiency drive nearly every business plan and discussion, including those within the data center sector. A rising number of data center organizations have been increasingly focused on power usage effectiveness ratings, and have implemented new practices to help achieve the ideal PUE rating - as close to 1.0 as possible. Neudorfer stated that these efforts will include improvements to cooling systems, as they are some of the top energy consuming technologies within the data center. Some organizations will adopt different cooling technologies, including liquid cooling, to lessen the amount of electricity utilized by the system. In addition, data centers will make better use of the waste from these systems by recycling the heated air being removed from the server room to warm other areas of the structure. Other organizations will take a different approach, including the implementation of temperature monitoring systems. This type of technology provides the means to program a target temperature level and maintain this range in the server room. The strategy prevents the cooling system from consuming unnecessary electricity and improves the overall PUE rating. A high temperature alarm can also alert key employees if the temperature level goes outside the programmed range and prevents sensitive IT equipment from overheating.